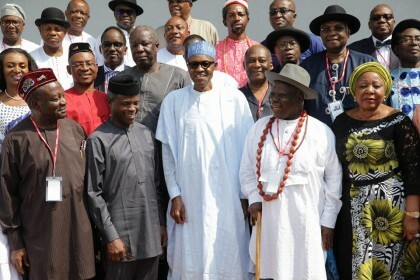 Critical Stakeholders in the Oil Producing areas under the auspices of Pan Niger Delta Forum have resolved to do everything within their powers to end the spate of Militant agitation in the area, so as to enable the Buhari administration pull the nation’s economy out of recession. 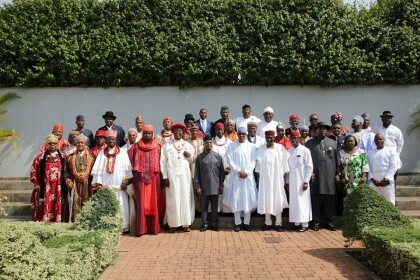 After a crucial meeting with president Muhammadu Buhari ,members of the Forum led by King Alfred Diete Spiff and Chief Edwin Clerk strongly condemn all forms of criminality especially the vandalism of valuable national assets which destroys their environment. 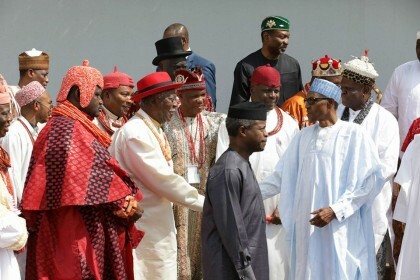 The meeting was the first formal engagement between president Muhammadu Buhari and the Niger Delta leaders aimed at finding peace and stability in the area for sustainable economic growth in the country. Sixteen broad dialogue issues were tabled at the meeting which the people described as quick wins towards the restoration of hope and confidence in the region.